Perfect for a days hiking! These thumbsticks have been the ideal companion for man generations. On uneven paths or wading across streams it is indispensable! Stripped and lacquered chestnut thumb stick with metal ferrule. These sticks are all harvested from sustainable forests. Height 56" Ours are imported directly from Scotland. 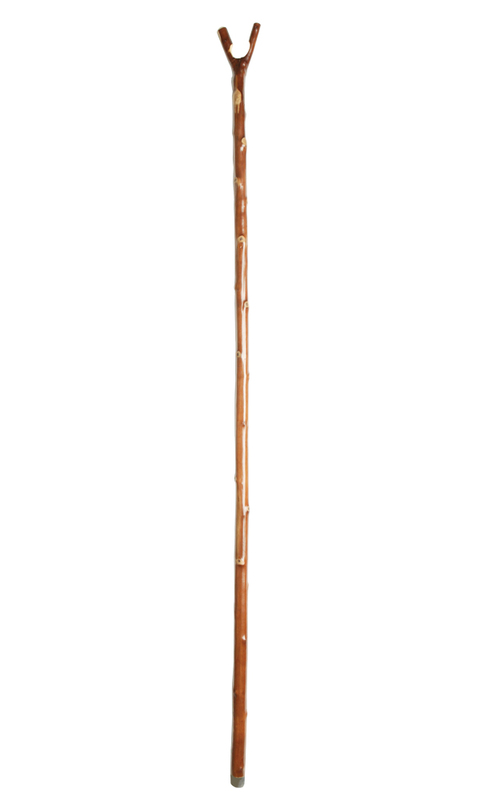 This walking stick is traditionally seasoned and made. tall. We keep most in stock, but please allow 2-4 weeks delivery for items not in stock or please call 1-877-224-8299 for availability. Please allow for the oversized packaging as these are long.